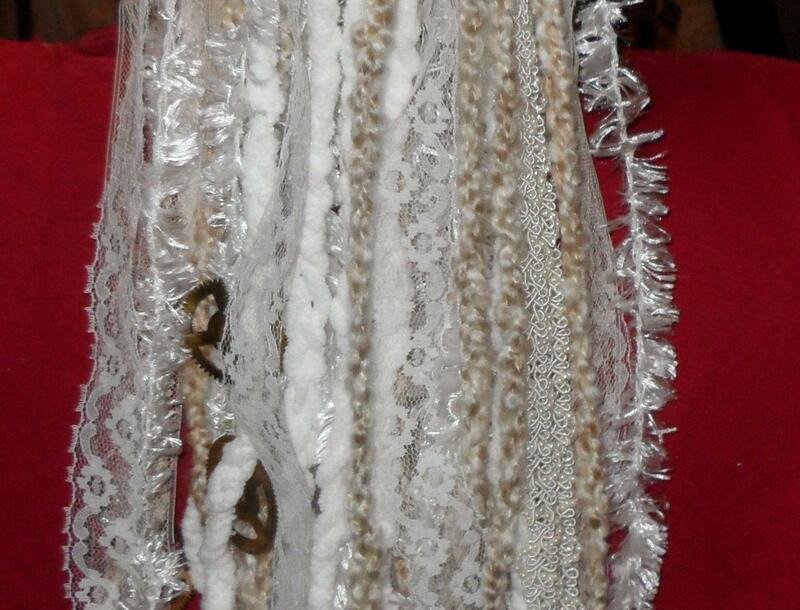 We’ve come up with our own style of steampunk dreads that will be soft and adorned with a few trinkets, buttons, and/or gears. 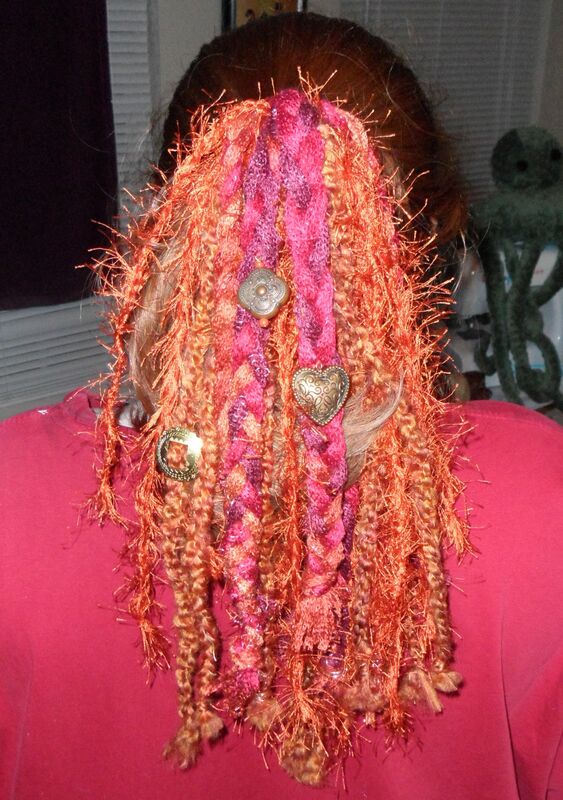 They won’t be your typical cyberlocks or skittlekid hair pieces. We wanted ours to fit what we imagine to be steampunk elements and hopefully have a more sophisticated look. 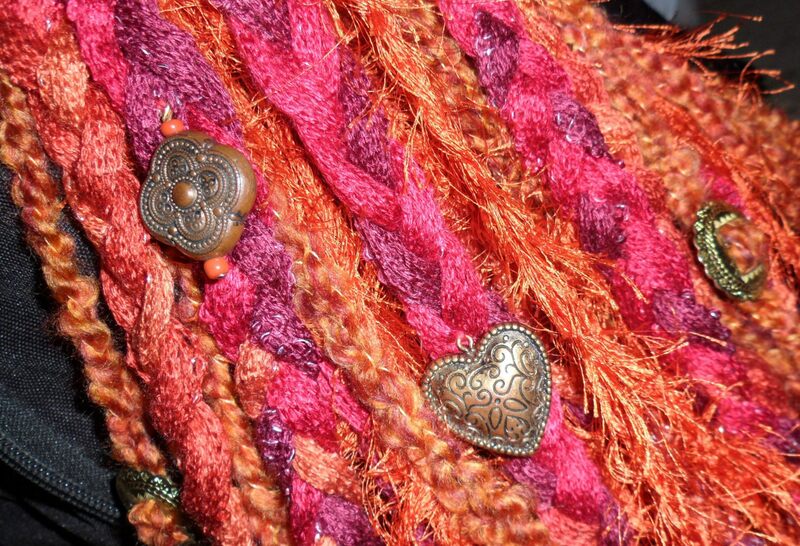 By adding buttons, lace, gears, brass, and copper wires to selective dreads, but not over-inundated them with trinkets, I think we accomplished this! 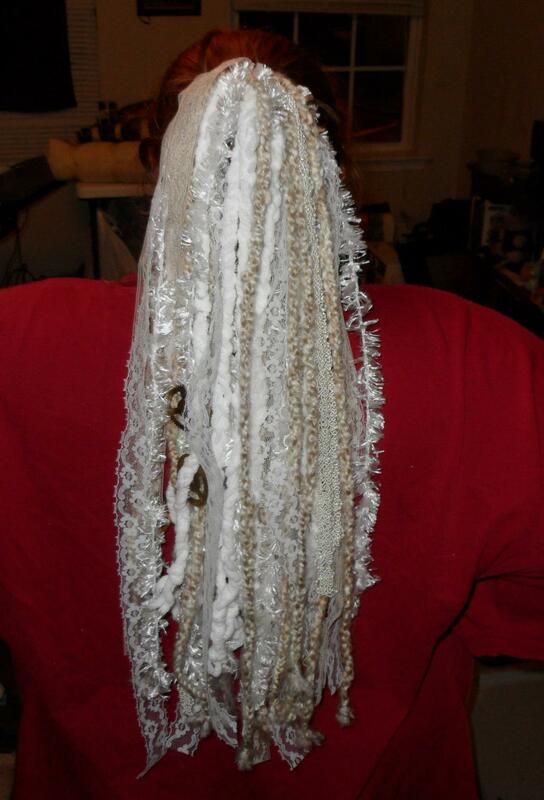 Our captain is very tactile, so all of the dreads can be expected to be soft! At this time, we only plan to make white (in the photos above), copper (also in the photos above), tan, brown, and black dreads. We may, also, be making dual black & red and red & white for Dark Ministries (our Dark Steampunk). However, we will be accepting commissions for other colors too! We will be debuting them on our vending table at Octopodicon! This entry was posted in Conventions, Merchandise, Steampunk Fashion.